Townsquare Realtors of Morris County, New Jersey Working together with our clients, from condo's to distinct properties, our vast knowledge in Morris County is your reward. Smaller is not just better - it's BIGGER! 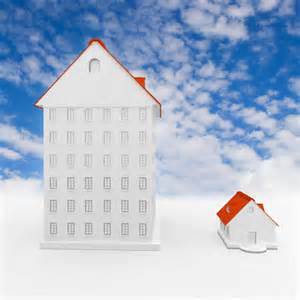 Morris County real estate company may be small in size, but the benefits of staying small are HUGE! Think back to days of smaller businesses (mom and pop shops if you will or a self-made success) you will recall a company known for their personal touch, a business that knew you personally and remembered your wants, wishes, needs...................maybe you remember a story from a family member that sounds vaguely familiar? Now, it's very common to see the big companies, the ones that buy out the smaller companies........the big department stores that buy out or put out the smaller specialized stores? Do they really cater or know one product more than anyone else or are they just looking to make as much money as they possibly can? Who's making this money? Who's keeping this money? Is Bigger really better? Townsquare Realtors is better than big! Let's take a look at Townsquare Realtors in Morris County, New Jersey. Sitting in the heart of this county is a gem, a small personal real estate company that is staying this way and for BIG reasons - their clients. Chances are when calling this office, you will be answered by one of several professionals, if not the broker/owner - your call will be answered by Morris County's finest professionals with personal pride in their business and their clients. More likely than not, they will know your name and your interest in real estate. They value their client/agent relations, relationships that have been awarded in the most flattering of compliments - referrals to their family members, friends, colleagues - can you imagine, all without major business branding - but by word of mouth? Success comes to those who perform in their clients' best interest and making money (selling real estate) or saving money (buying real estate). Not one agent can be successful by relations alone, bringing clients their top dollar for their home or buying a client home (whether the first cozy condo or the distinct estate) at the best price is BIG SUCCESS! Trustworthy Relations + Smart Money Decisions = Clients for Life! Townsquare Realtors repeatedly meets and exceeds their clients expectations! How does not being "branded" by a big name benefit their client? It's the small things.....like the very small amount needed out of your hard earned money that needs to go to others within the company. (How do you think they pay for their executives, department heads, team leaders, marketing departments) Townsquare is not "corporate America", they are your local real estate company, they are knowledgeable in your neighborhood, they work hard to sell your home for top dollar and buy your next property at a great price. They bring to you a vast knowledge of Morris County. This is where they work, live, educate, worship and play. These Morris County experts pride themselves in a commitment to excellence and community. Call today to see the difference - It is BIG!